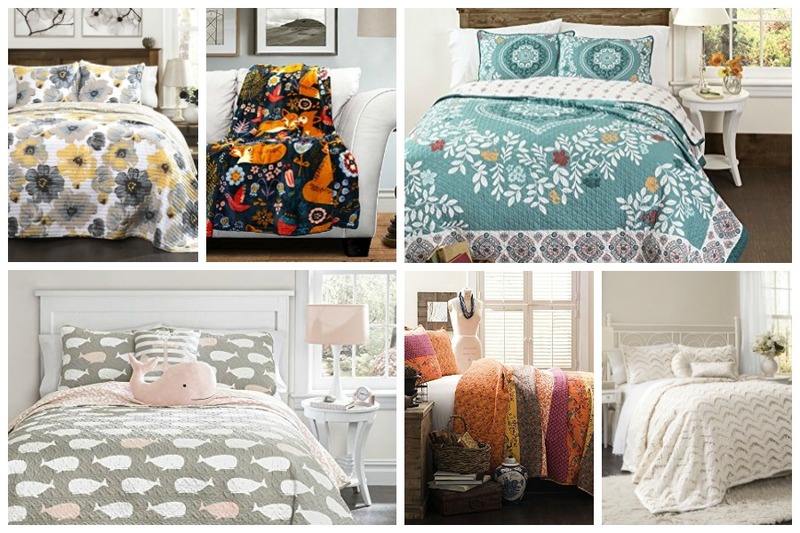 ONE winner will be able to select any one bedding of their choice (regardless of the price). To participate, you must be a legal US resident, eighteen (18) years of age or older at the time of entry. See additional giveaway rules here. This giveaway will end on March 17, 2016, at 11:59PM ET. A winner will be chosen by random (automated) and I will send an email to let the winner know. **Note: you are welcome to just enter on the first form and be done, but if you’d like some extra entries, feel free to enter those extra optional entries on the second form. The Giselle Comforter is my choice.. awesome! The Giselle Comforter is beautiful for spring/summer and I love the sparkle! I love the Monique quilt. The shade of blue and pattern is just gorgeous. I choose the sophie in blue and it’d go great in my house because I want to change my bedroom to a blue and gray theme. I chose the Crinkle 3 piece Quilt in gray. I think it would look great with my chalk painted bedroom set! Thank you so much for the giveaway. I chose the Aster 3 -pc set. The colors would be great in my bedroom. I love the Boho Stripe 3 piece Quilt. Thanks for the giveaway! I love the Ethan Quilt in blue. I have a lot patchwork quilts in my bedroom and I think this would blend in. I chose the Boho Stripe 5 piece Quilt. The colorful stripes will go with everything. I’d love the Galacia quilt for my bed! The filigree in various shades of red is gorgeous!